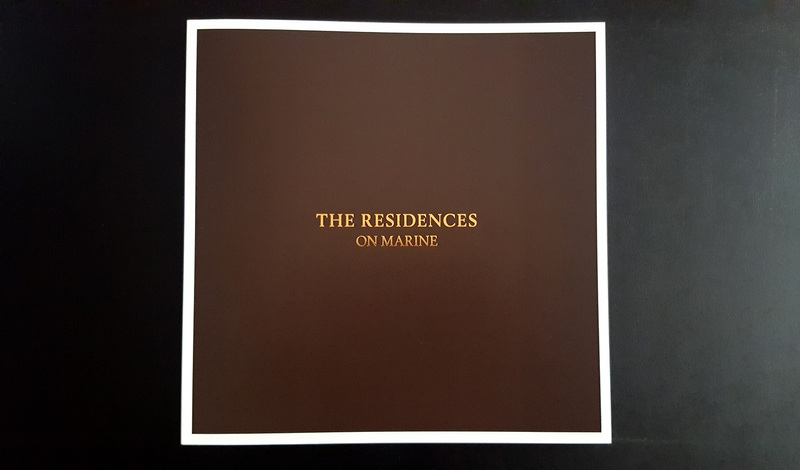 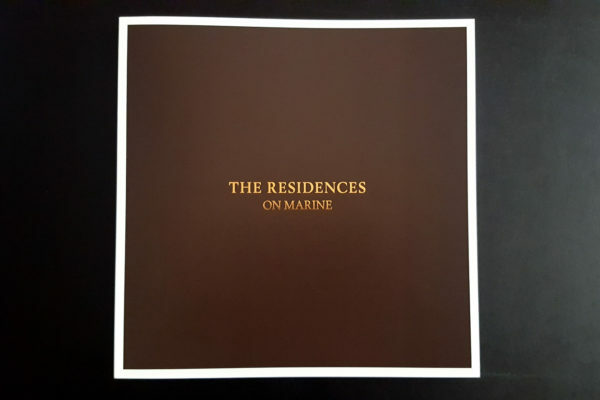 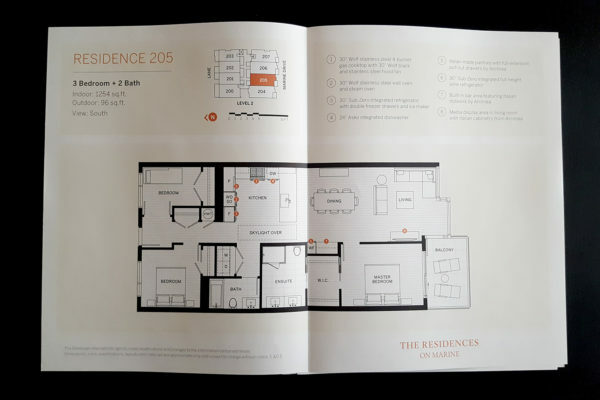 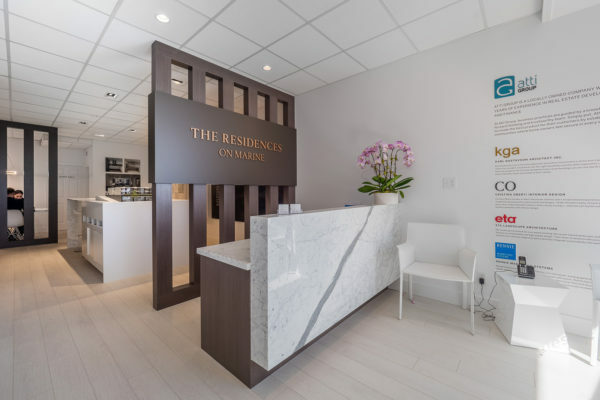 The Residences On Marine is a development in West Vancouver with a specific demographic. 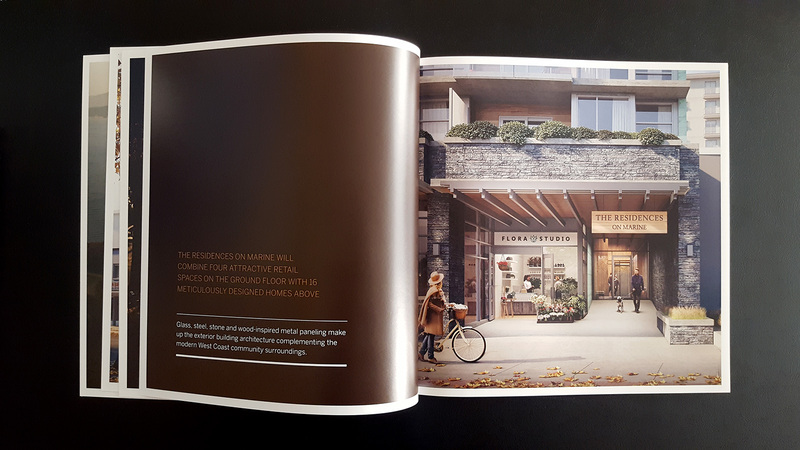 Communicating a differentiated luxury product to those with a sophisticated taste in Real Estate, design, quality and lifestyle was our first challenge. 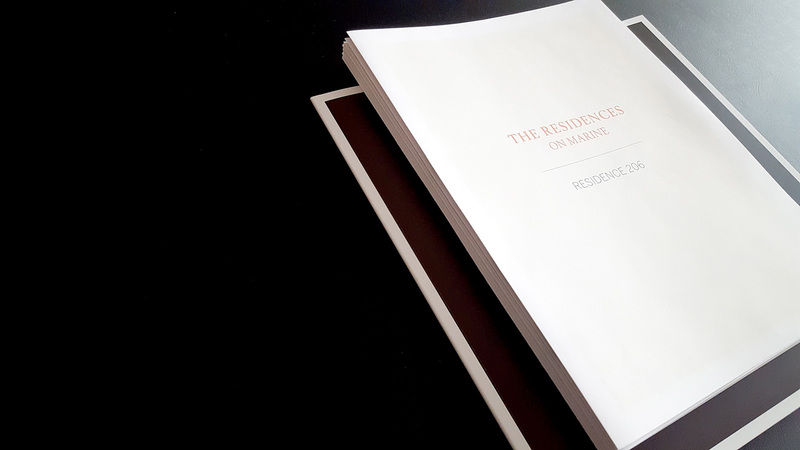 The secondary obstacle was to highlight the differentiating factors in the most authentic way possible. 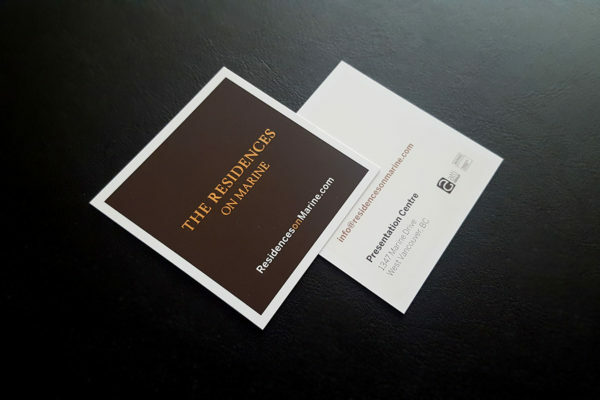 Simple, pure and straight to the point. 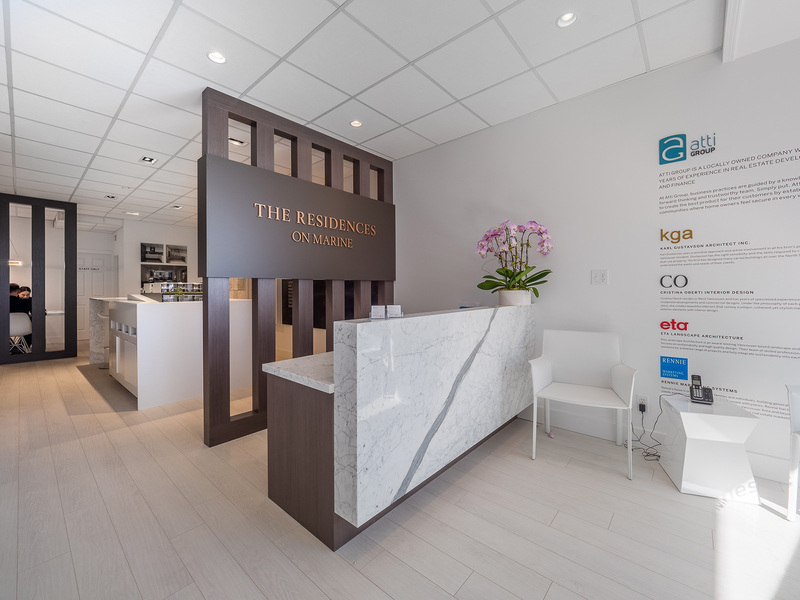 Working closely with Rennie Marketing system, we arrived at the concept that luxury in its authentic form is most attractive. 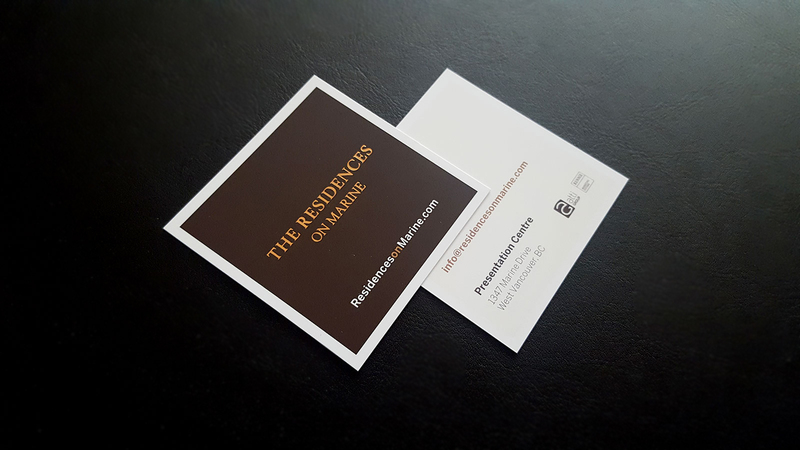 Without the extra flair, the brand, look & feel and every marketing component was designed with the mindset of sophisticated luxury. 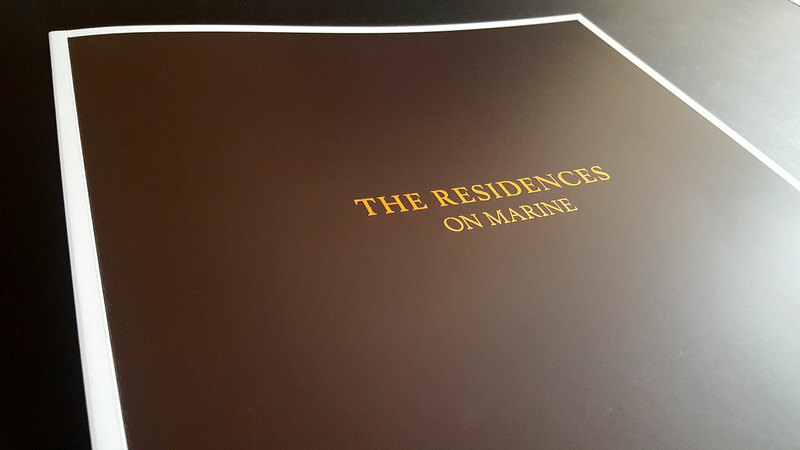 Unpredictable choices in combination with luxury elements created the overall reflection of Residences On Marine. 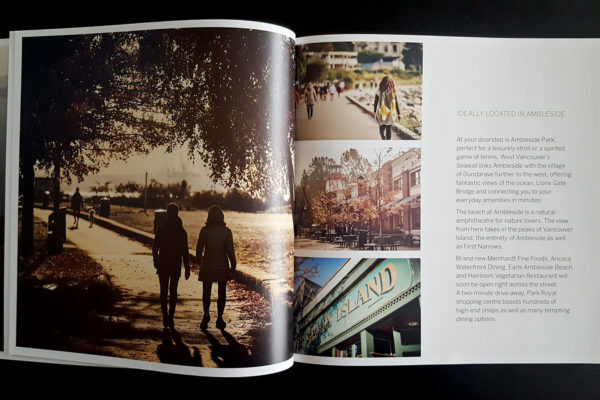 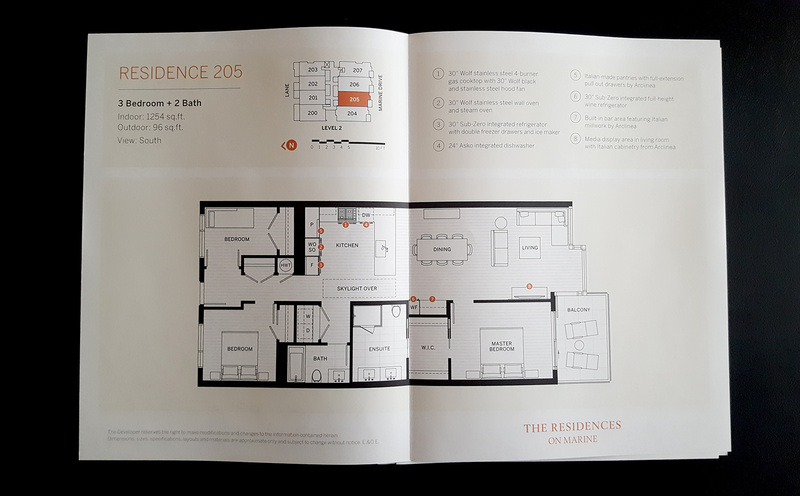 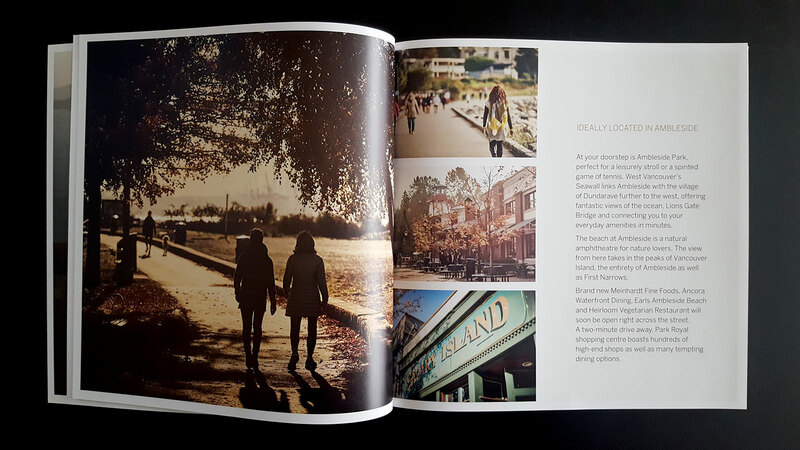 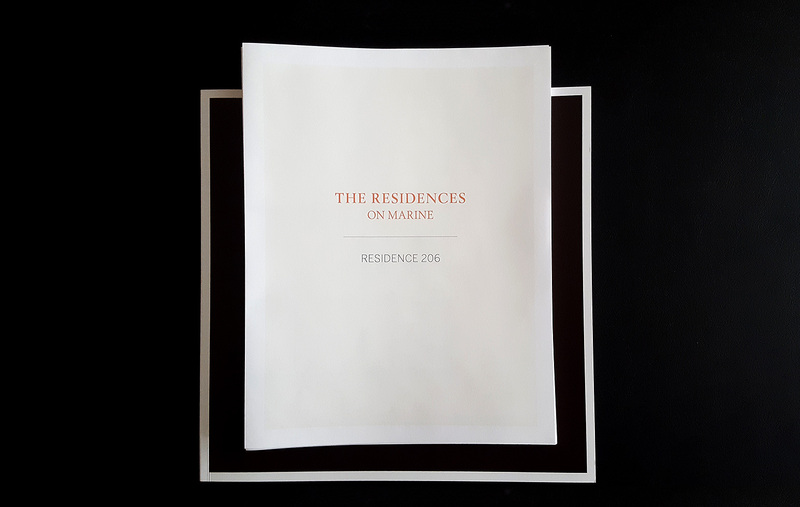 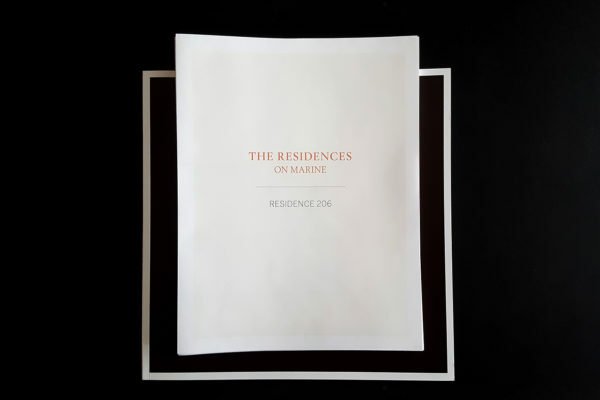 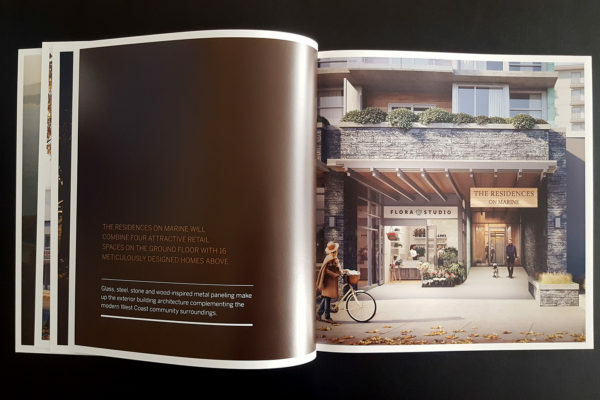 With respect to the mature demographic and their appreciation for simplicity and warmth, our team developed classic, unconventional color palette never seen before in Vancouver’s Real Estate presale market. 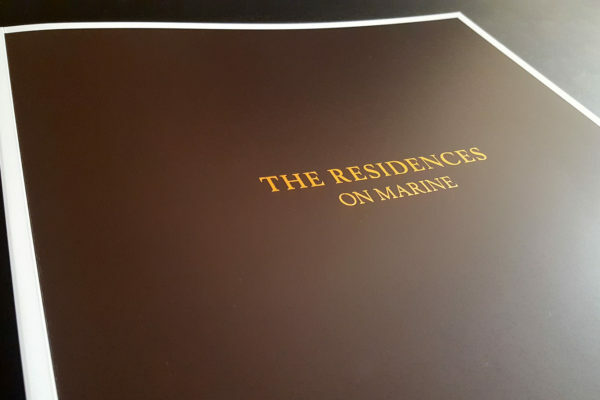 The Residences On Marine Synues Interactive with unconventional challenges to resolve. 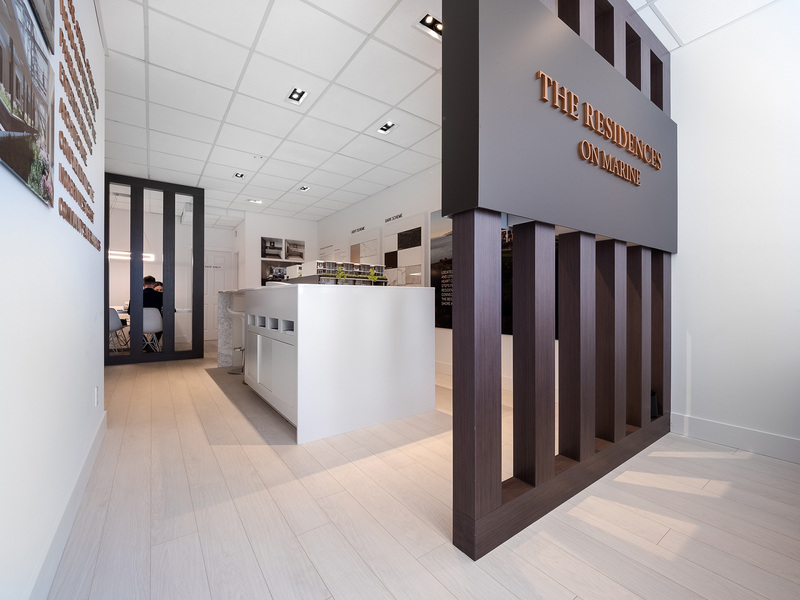 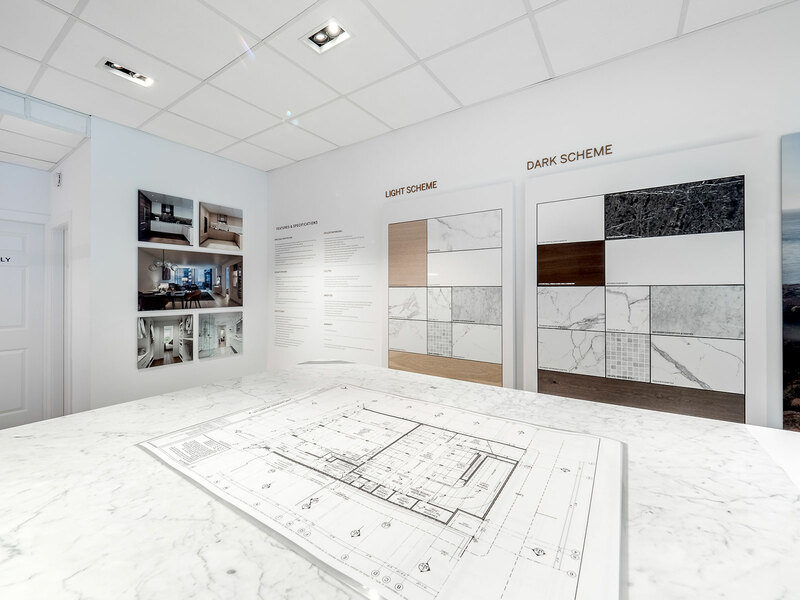 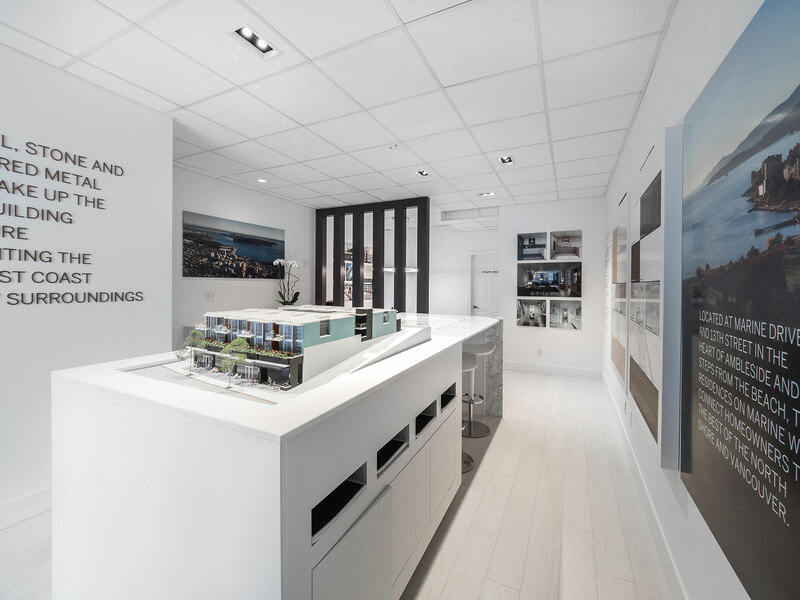 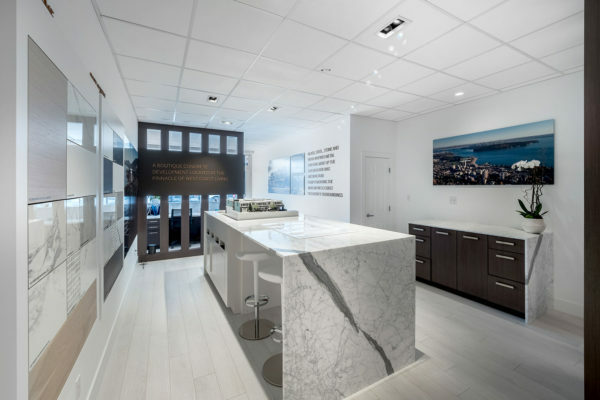 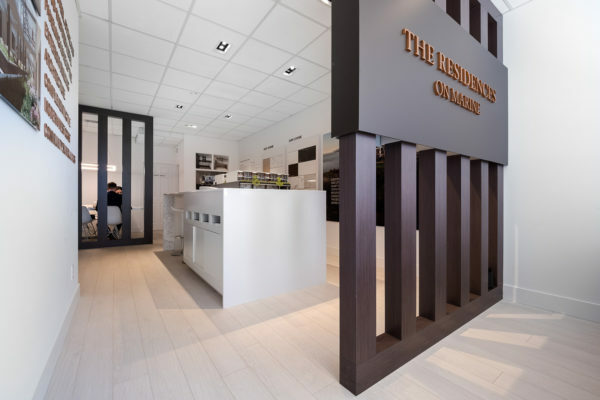 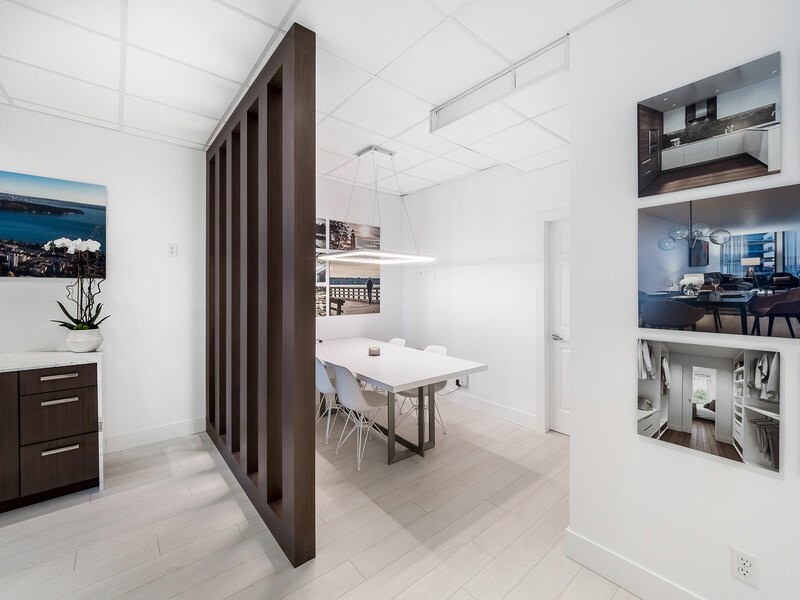 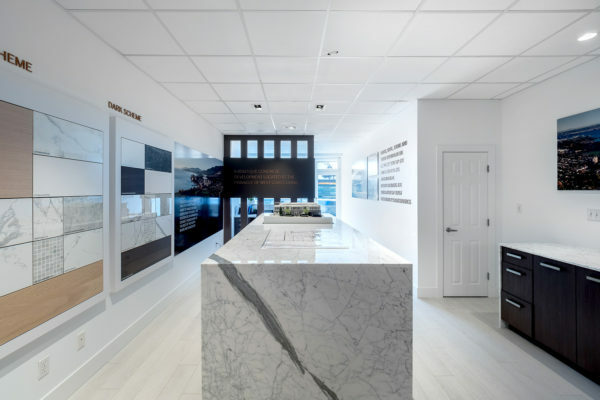 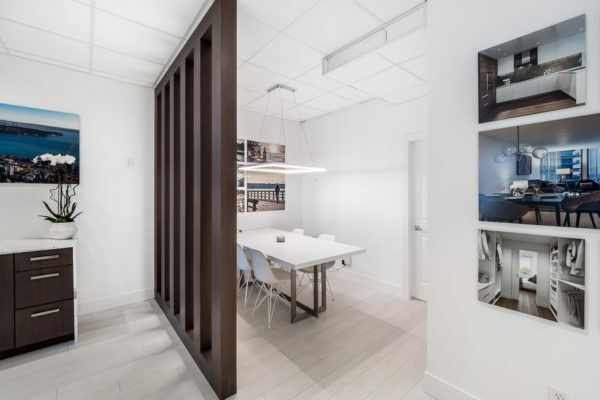 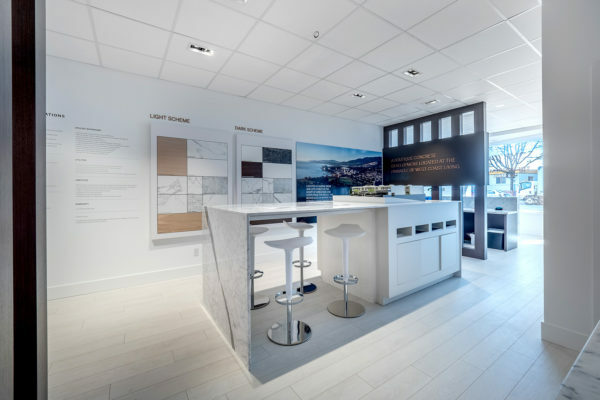 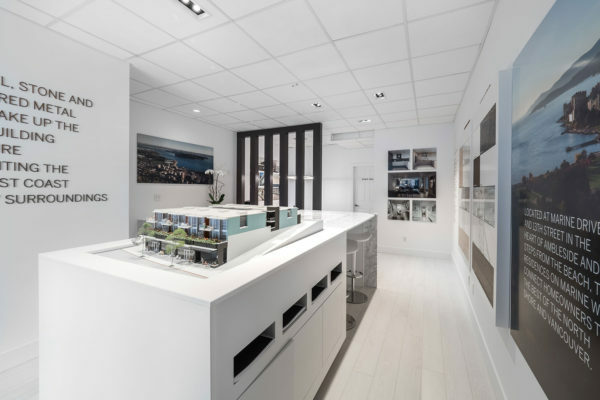 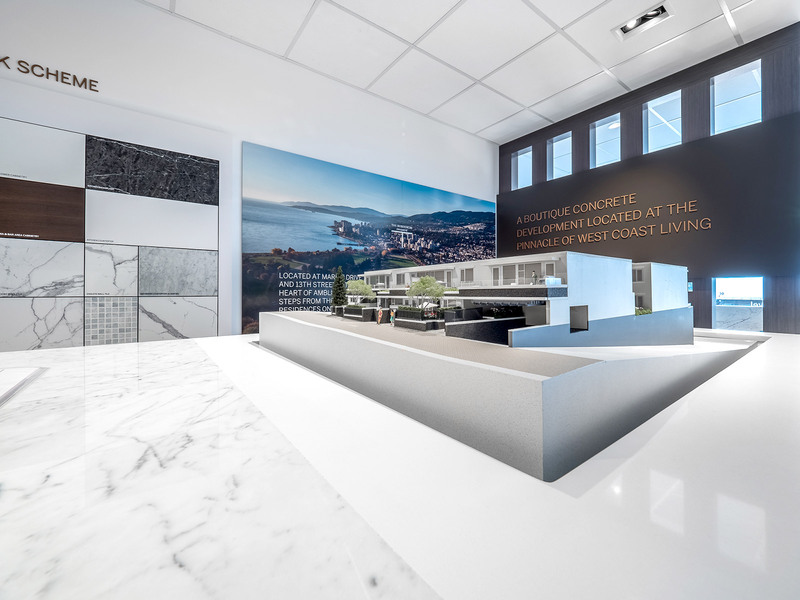 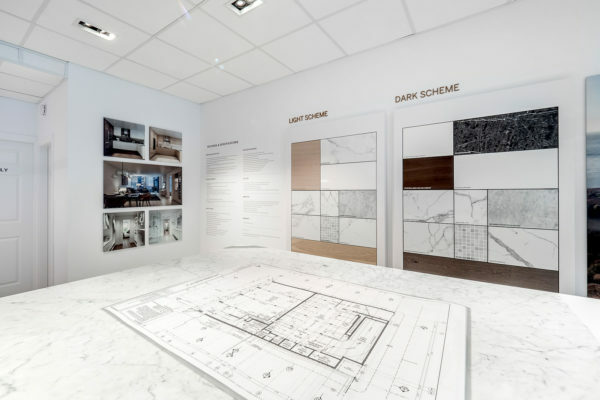 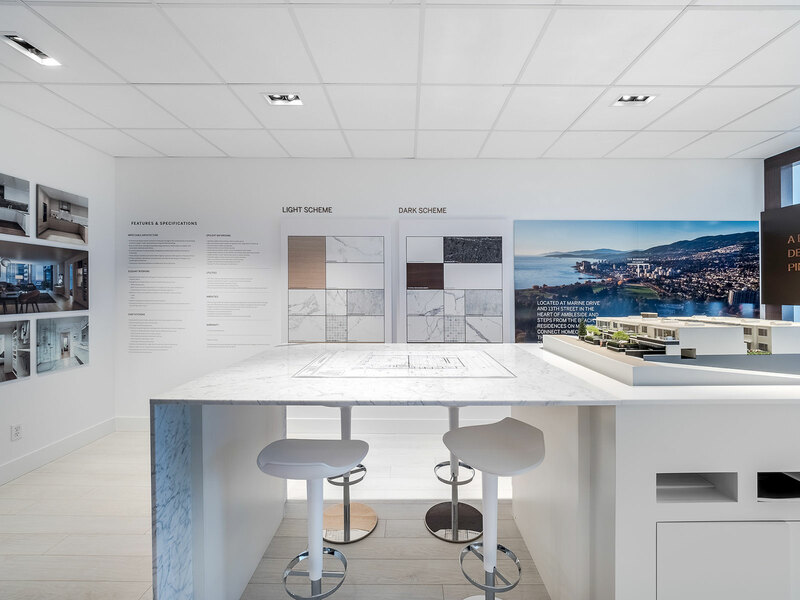 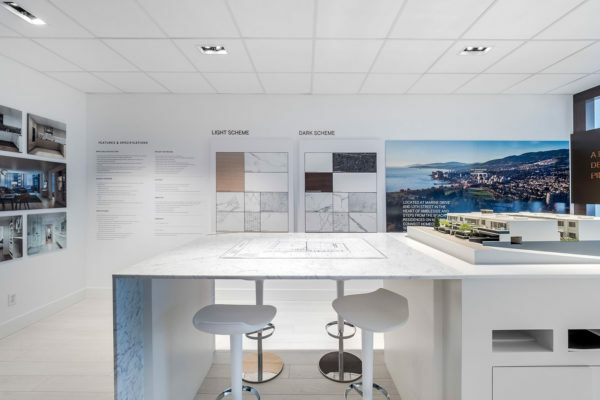 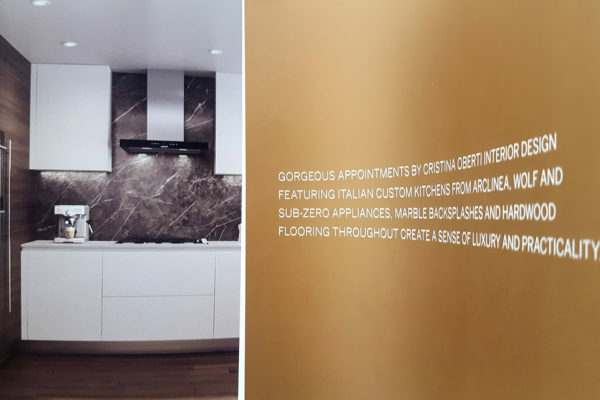 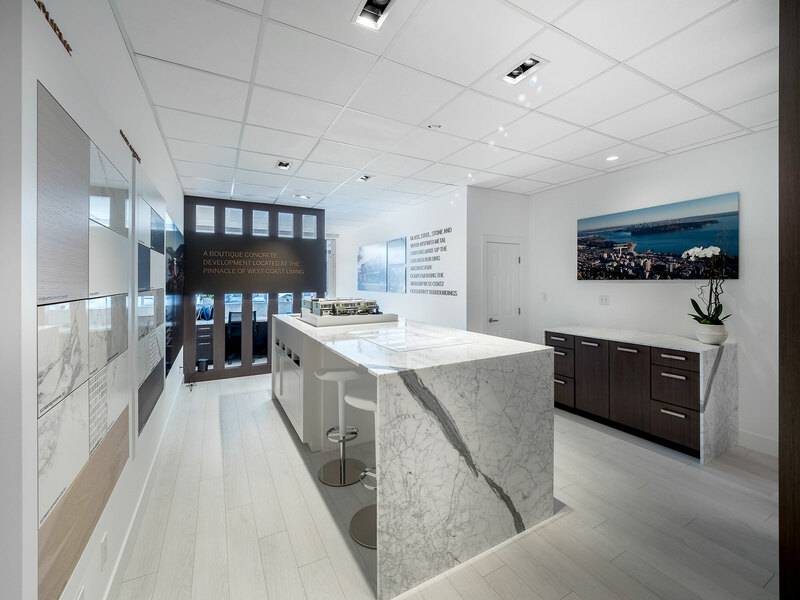 The presentation centre for the pre-sale project in West Vancouver was designed and delivered in collaboration with Cristina Oberti Interior Design and Rennie Marketing Systems. 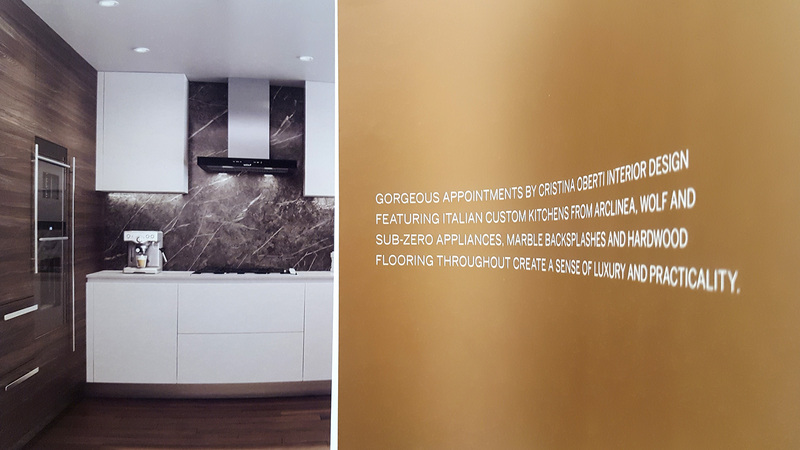 Given limited space and time to produce a first-class presentation centre was prime example of seemingly impossible challenges at first. 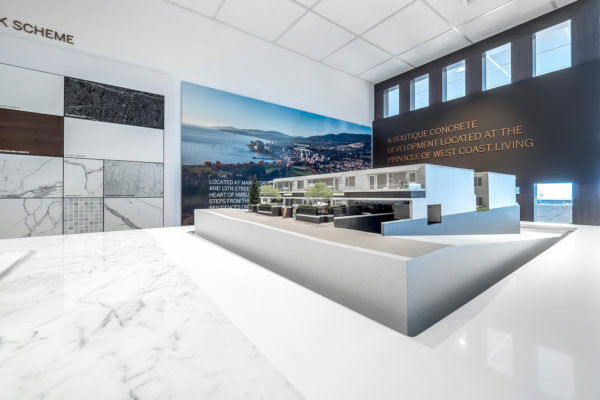 With a reliable team at our disposal, the entire unveiling was completed in 20 days including construction, remodelling and design. 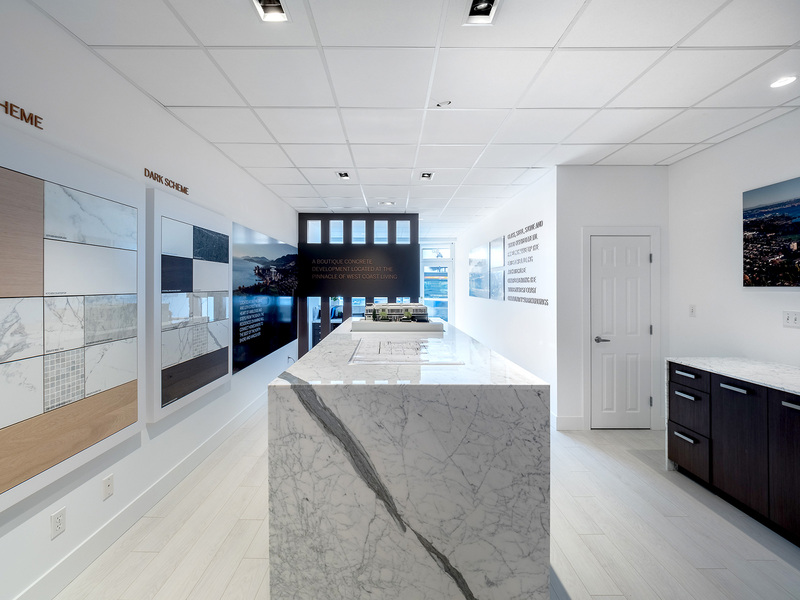 Below is a gallery of the completed presentation centre.